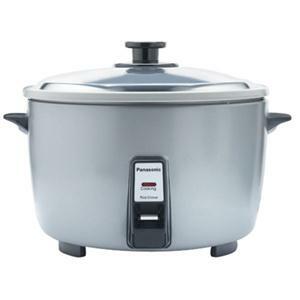 Rice Cooker with 23-Cup Uncooked Rice Capacity and Automatic Cooking Feature. Cooking is Simple with the Automatic Cooking Feature. The Automatic Cooking feature cooks rice at the touch of a switch and helps reduce overcooking. Keeps Your Rice Warm until You're Ready to Serve. The Keep Warm feature helps keep rice warm up to four hours and also keeps your rice moist after cooking.